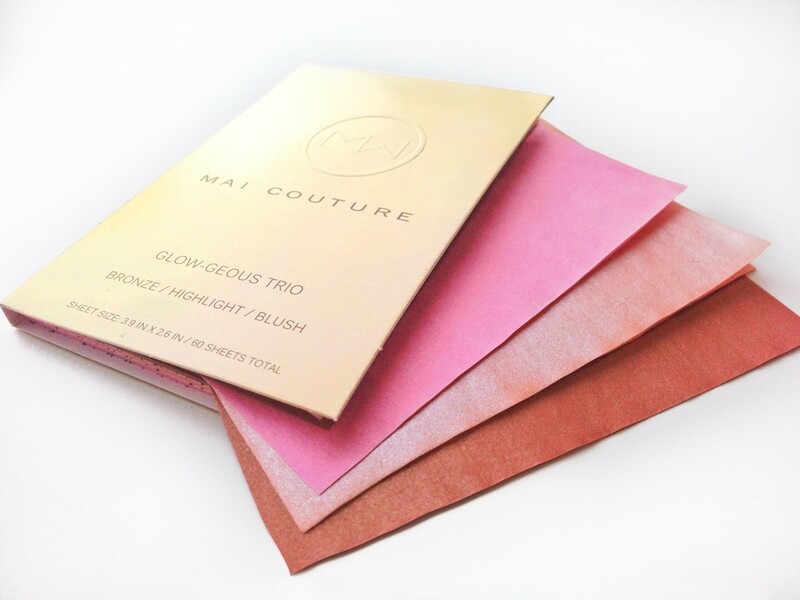 Beauty News: Mai Couture Glow-Geous Trio – Makeup in Booklet Form! Well isn’t this a clever idea? Makeup in paper form! 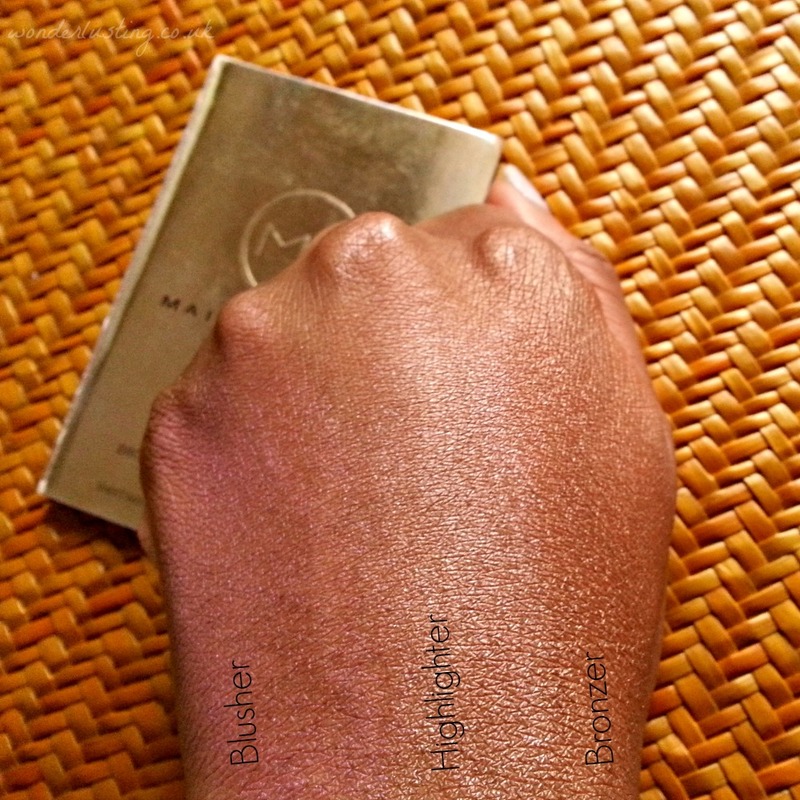 We’re used to blotting paper sheets but how about blusher, bronzer and even foundation? 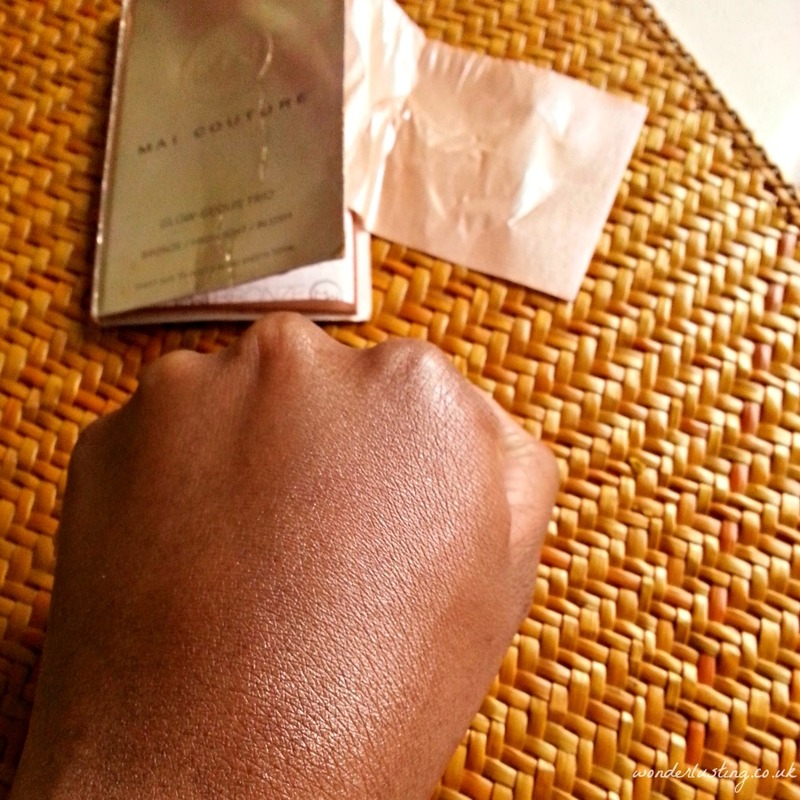 I get very excited about innovative new beauty products so of course when I learnt about Mai Couture makeup I had to put it to the test. 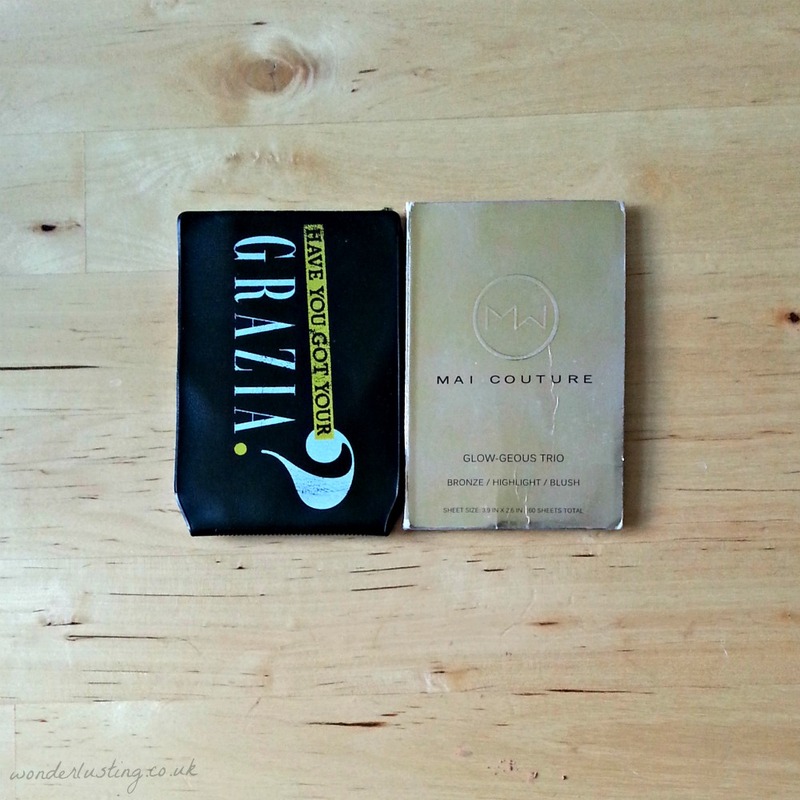 MAI COUTURE GLOW-GEOUS TRIO SWATCHED I got the Mai Couture Glow-geous booklet which contains 20 sheets each of Sin City bronzer, St Barts highlighter and Prettyful blusher. The dinky size seals the deal. Picture below shows it next to my Oystercard holder. The booklet cover is quite fragile and can start to look tatty if you’re not careful so it’s worth looking at getting a case. 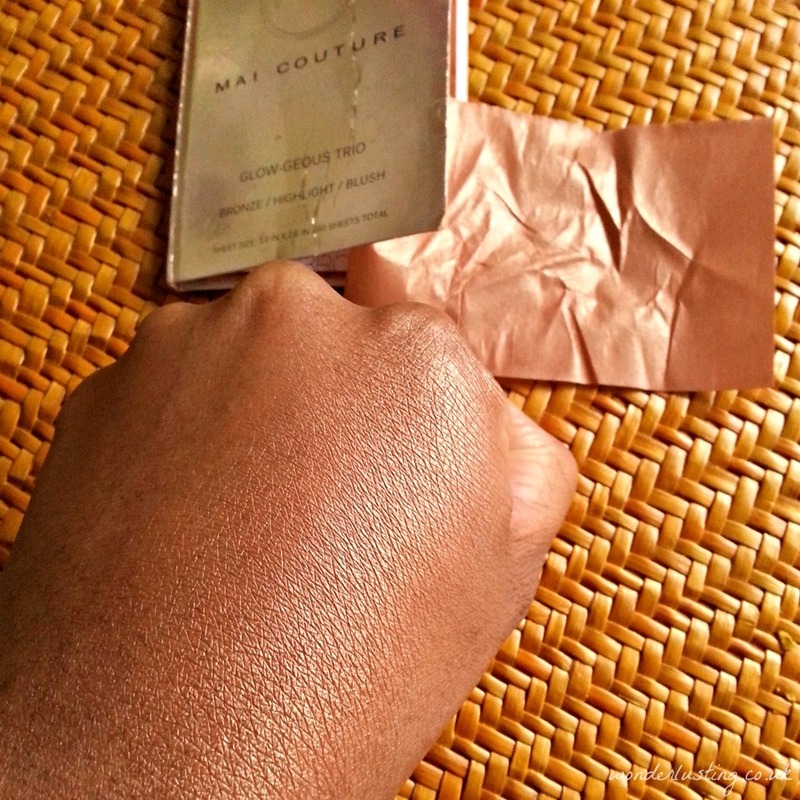 The Mai Couture booklets are great for travel – no worrying about going over 100ml, no spillage, space saving, no brushes required. You could literally slip these into your back pocket! Treat these the same way you would any powder makeup so if you have dry skin make sure you are well moisturised but everything is absorbed to avoid blotchiness. The products are talc and paraben free and ingredients include bleached kraft pulp, hemp pulp, mica, kaoline, iron oxides and tin oxides. All the products are available in individual booklets as well as sample sizes. 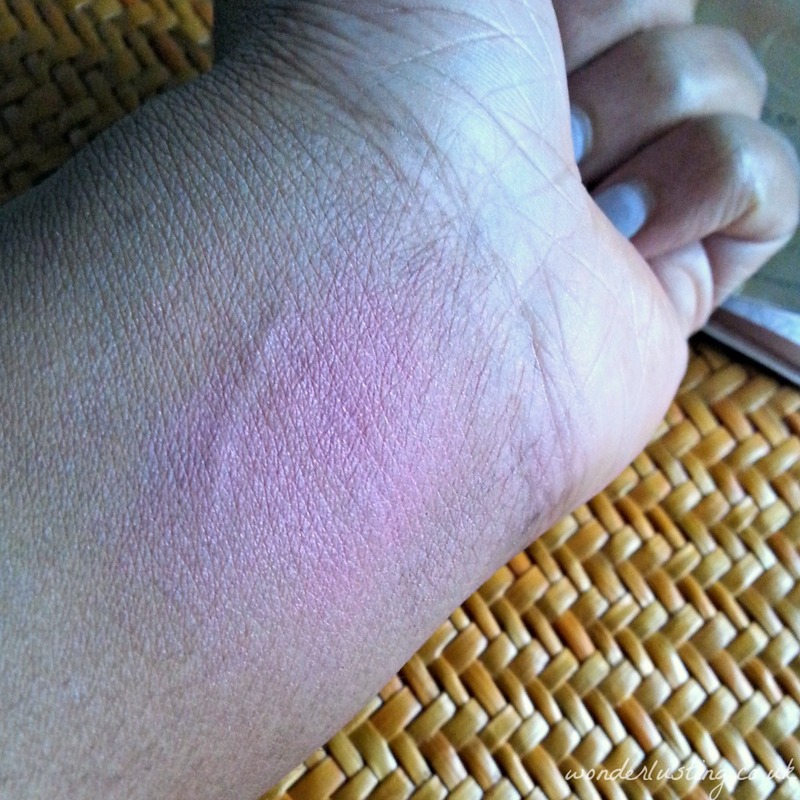 My only mini moan is the usual, I really wish there were darker foundation colours available. Mai Couture won’t be replacing my regular makeup day-to-day but for travelling and makeup touch ups it’s a winner.